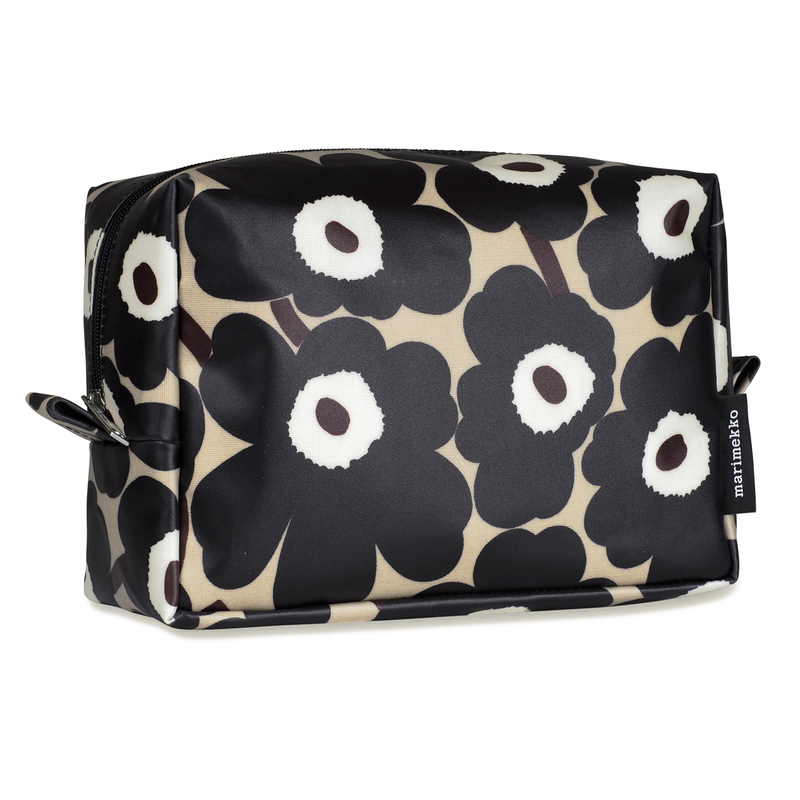 More about Marimekko Unikko Beige / Brown Verso Cosmetic Bag Keep your stash of brushes and bottles organized in the Marimekko Verso Cosmetic Bag. 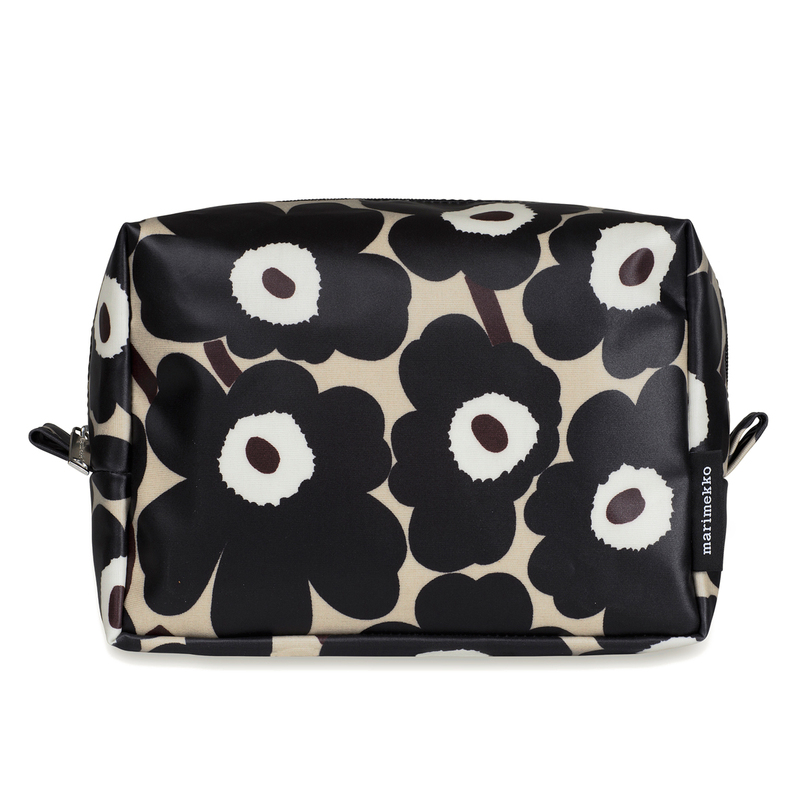 Just like you with your makeup, the Unikko print is always trying new looks. Here, Maija Isola's poppy print is neutral in shades of beige and brown, which may just inspire your natural daytime look. Inside the zipper enclosure, the pattern continues with two PVC-coated pockets for easy cleaning and elastic slots for effortless organization. The 100% cotton canvas exterior is durable enough to keep up with your on-the-go lifestyle. Not a makeup-wearer? 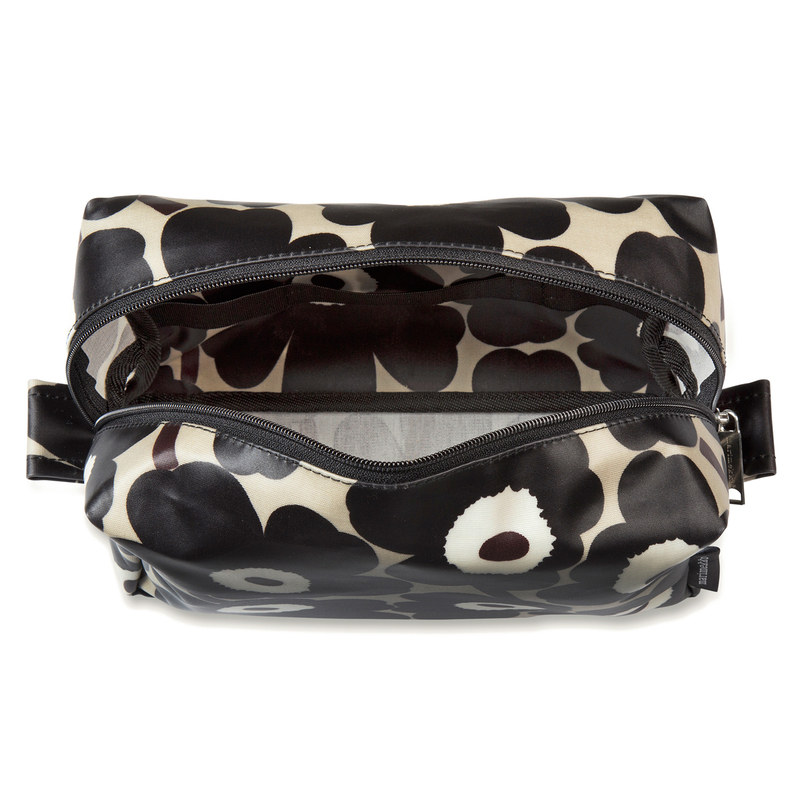 Use it as a toiletry bag, first aid kit, or catch-all for any odds and ends.